From environmental benefits to boosting your mental capacity and promoting digestive health, research studies have found many benefits to cycling. Plus, cycling is a great way to be active while enjoying the natural beauty Virginia has to offer. 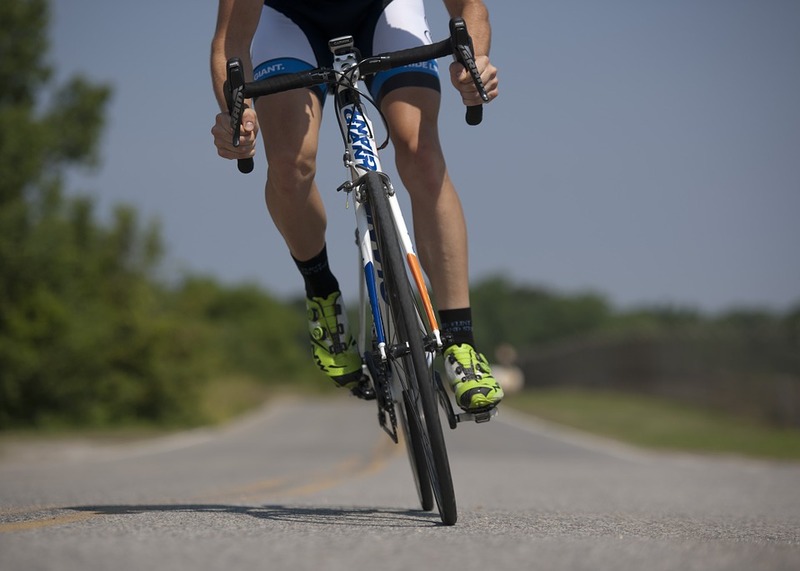 There are many cycling trails to enjoy in North Virginia. Whether you’re an avid cyclist or you’re just looking to get started, check out some of our favorite biking trails. The Alexandria Heritage Trail is a 23-mile long urban trail that takes you through the town’s historic landmarks. Perfect for combining your workout with our love and appreciation of history, this trail offers a few steep hills, a paved surface, and podcast-led tours so you can take in the history as you ride. Immerse yourself in the nearby wilderness found in Springfield by taking a ride on Lake Accotink Trail. At the start of the trail, you’ll find the still-operating trestle bridge above Accotink Creek. Go around the lake, and enjoy the scenery through a window of trees. The park itself features picnic areas, mini golf, kayak rentals, and an antique carousel so there is plenty to do once you’ve finished your ride. If you don’t mind sharing the trail with horses, head over to Laurel Hill–but don’t worry, this 10-mile trail has plenty of room for both bike and horse riders. This trail is perfect for skill building and for going on a fast, smooth ride. Consider this trail of you’re a beginner. This 18-mile trail is one of the most popular on this list. It follows along the Potomac River through Theodore Island Park toward George Washington’s Estate. Enjoy the ever-changing views: parks, wetlands, towns, boardwalks, and wooded acres, the Mount Vernon Trail offers a wonderfully varied experience. Though the shortest trail on this list, Powhatan Creek Trail provides a more fairytale-like riding experience. Cross wooden bridges (no trolls, we promise), go up and down hills and have fun riding through some twists and turns. Your ride will range from easy to somewhat challenging. This trail is a perfect way to take your mind off city life as you go off on a wooden adventure. Washington and Old Dominion Trail (W&OD) takes you from the city to the country. Another very popular trail, W&OD picks you up in DC and leads you to the beginning of farm lands. This 45-mile long rail-trail has gradual elevations and smooth surfaces that make it perfect for beginning cyclists, and, of course, anyone else who would like to enjoy the scenic transition from the city to the country. Virginia has countless other trails for you to explore. These are only some of our favorites. If you’re looking to join a community excited to bike and stay active while feasting on the scenic beauty of Virginia, why not become a member of West Broad Apartments’ community? Contact us today and you could soon be ending your bike rides by coming to a beautiful home!